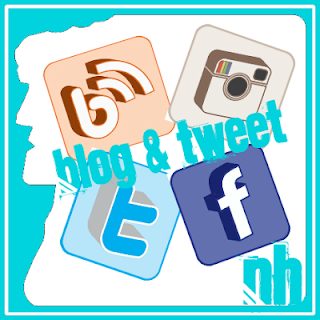 New England Distilling, Portland, ME – Breweries, Wineries and the fun in between! 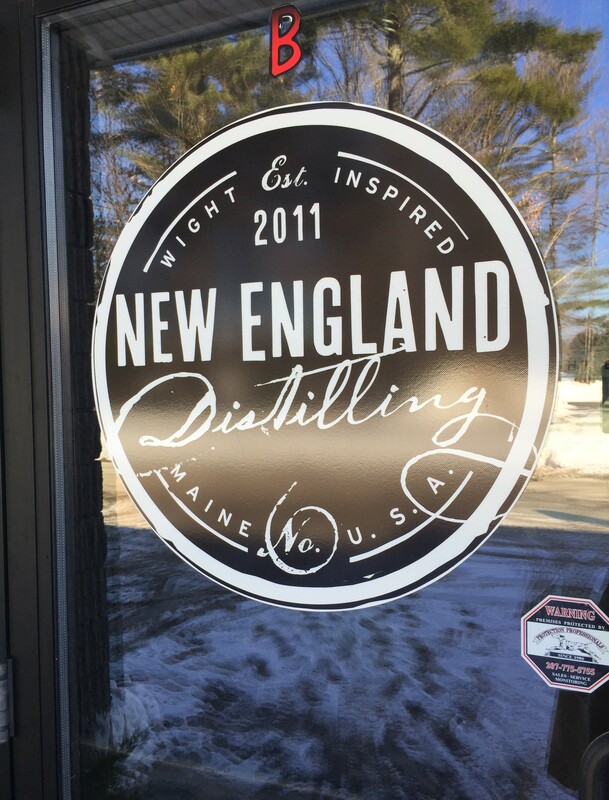 New England Distilling is located in Portland, ME. This was our first stop on our most recent trip to Portland. We went up with Mark’s brother Jason and his fiancée Maureen. 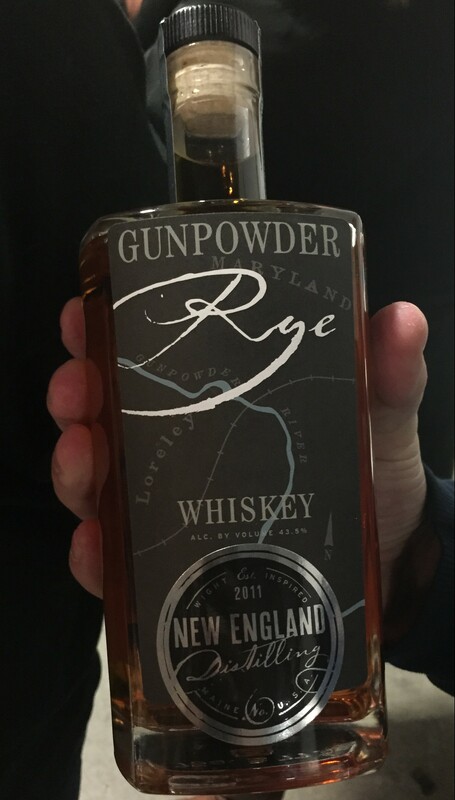 New England Distilling was started in 2011 and in 2012 started releasing Gin, Rum and Rye Whiskey. 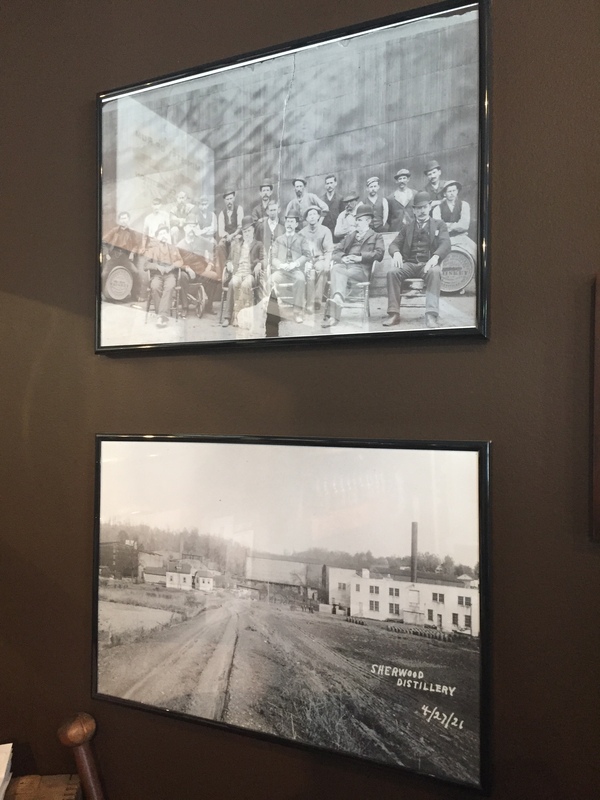 They are working on a Bourbon Whiskey now, but that will not be ready for at least a year and a half. 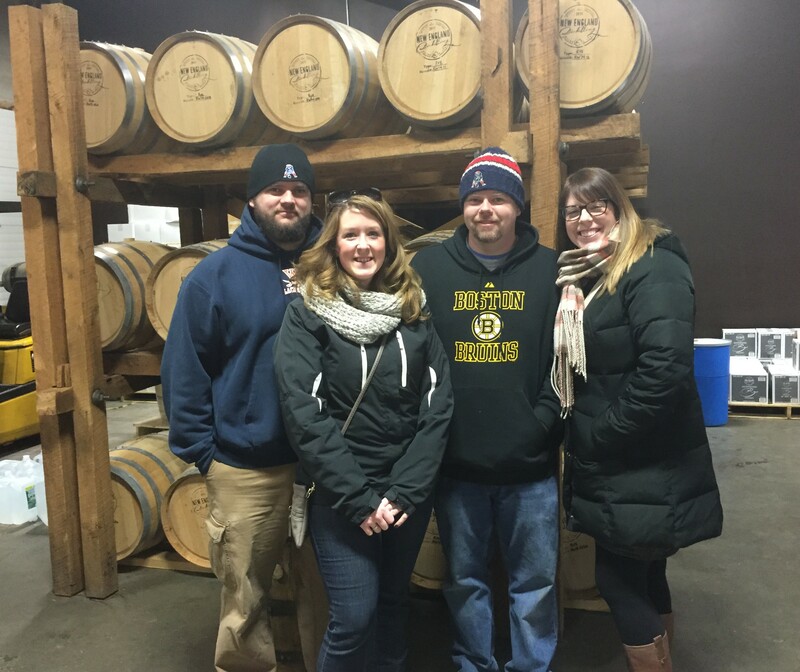 Ned is the owner and distiller at New England Distilling, NED for short. 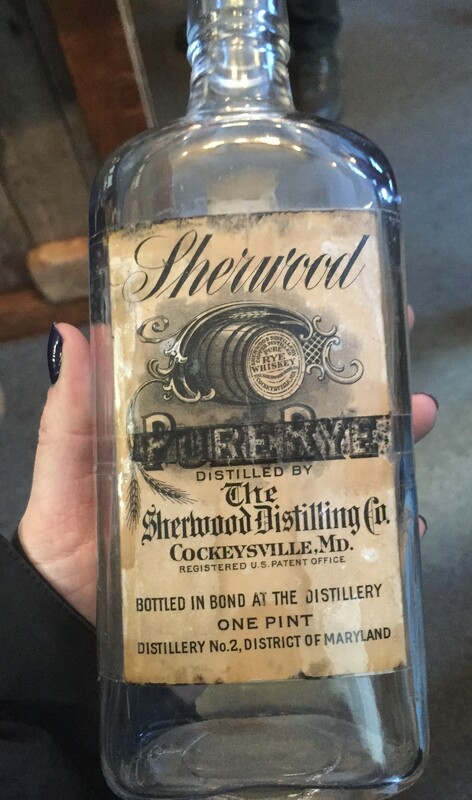 He is a 6th generation distiller with family history in distilling going back 150 years to Sherwood Whiskey being made in Maryland. with a prescription on the back! 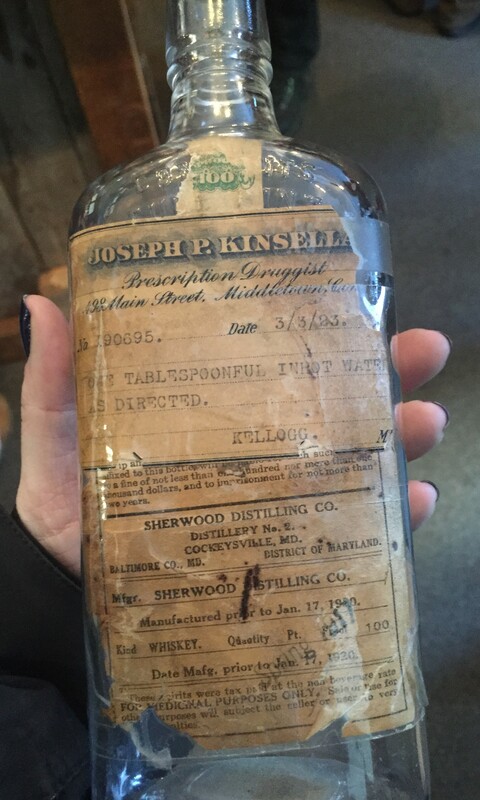 This was used during Prohibition. Old pictures and bottle from the family history. 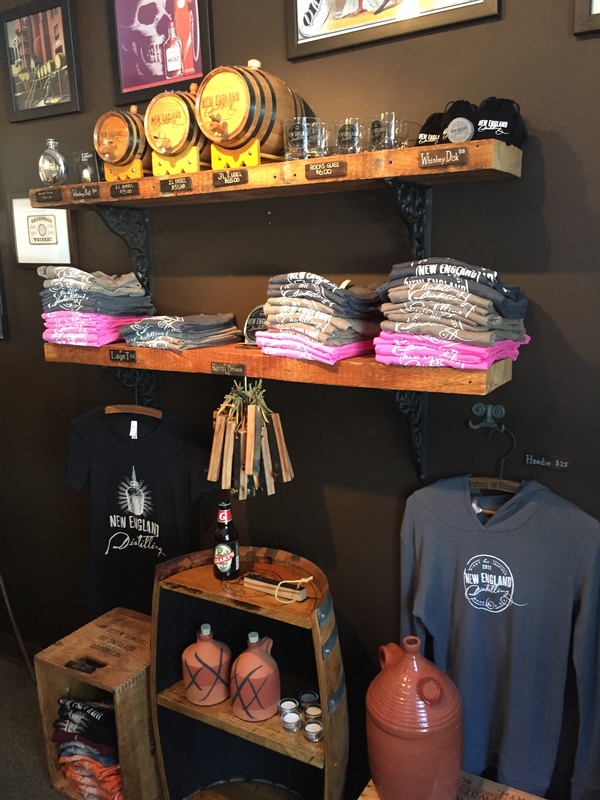 The whiskey and gin are both grain based, and are first made into a distillers beer. They take special care in this process, it is where the flavor starts. 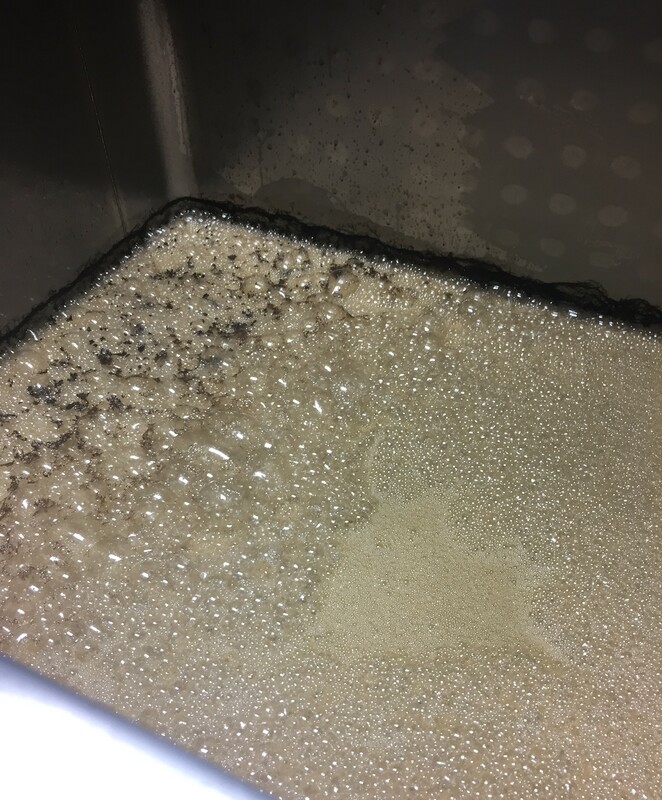 The rum is made from a sugar water base. 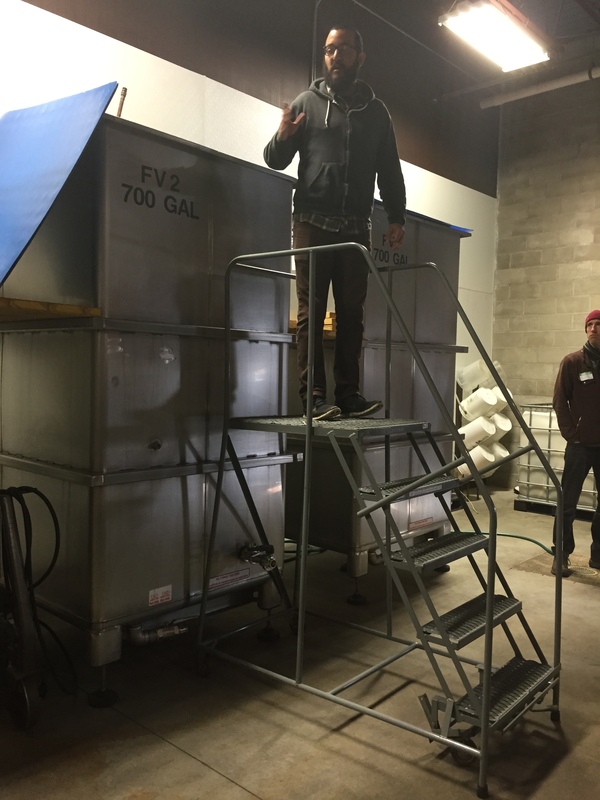 Each batch size is about 450 – 500 gallons. 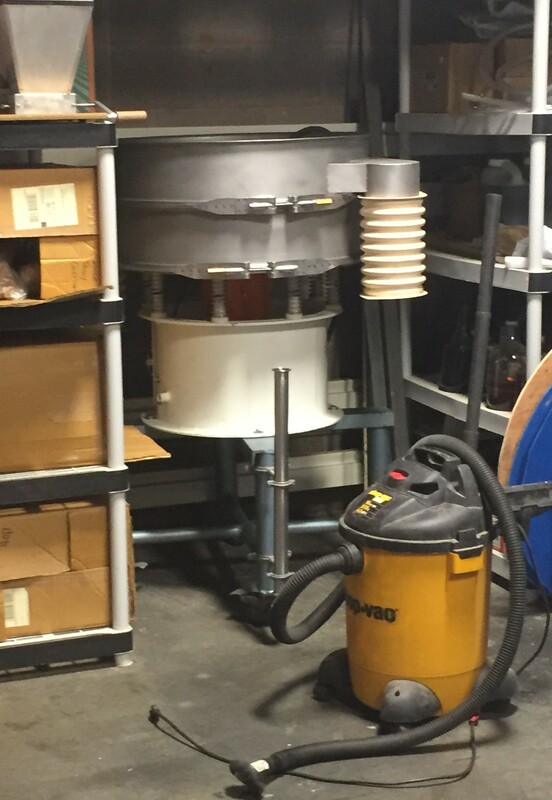 They ferment on the grains, which is not done while making beer because it can spoil or alter the flavor. They give all the spent grains to a local farmer to feed the cows. 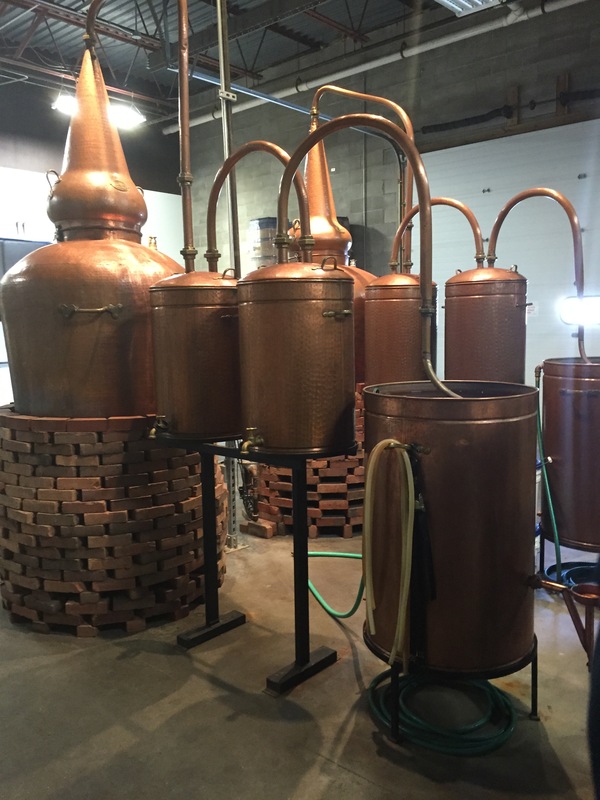 The still they use is not a super high efficient still, but it keeps more of the flavor. 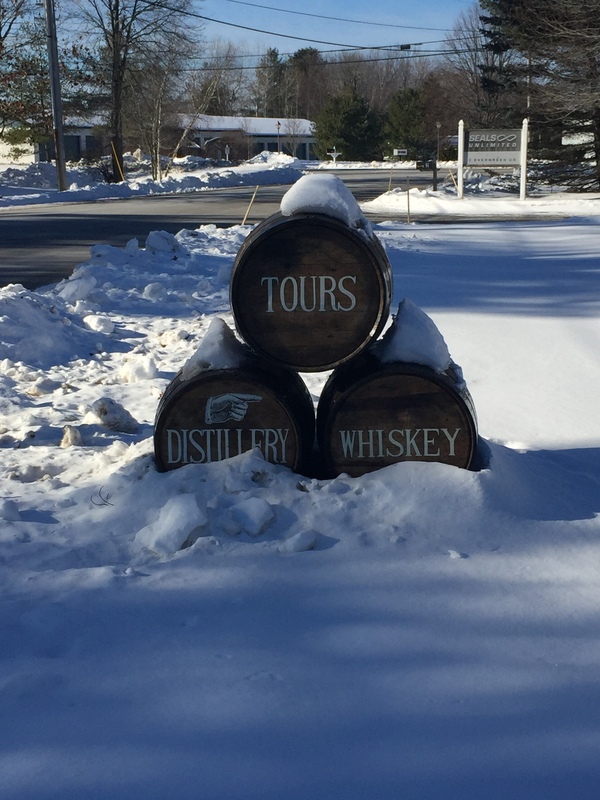 They run the whiskey and rum through the still 2 times at different temperatures. 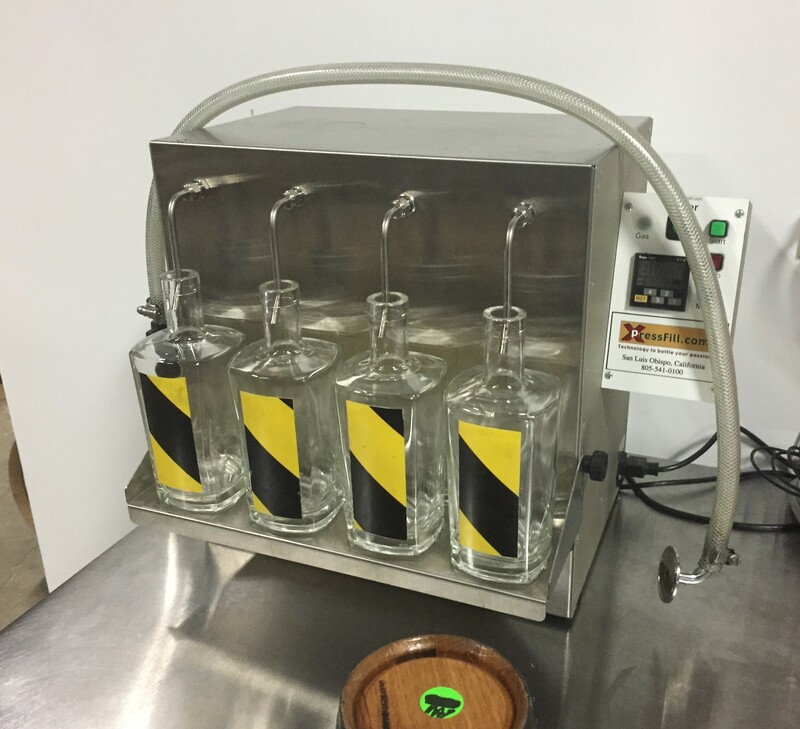 They run the gin through a third time with extra botanicals added for flavor. 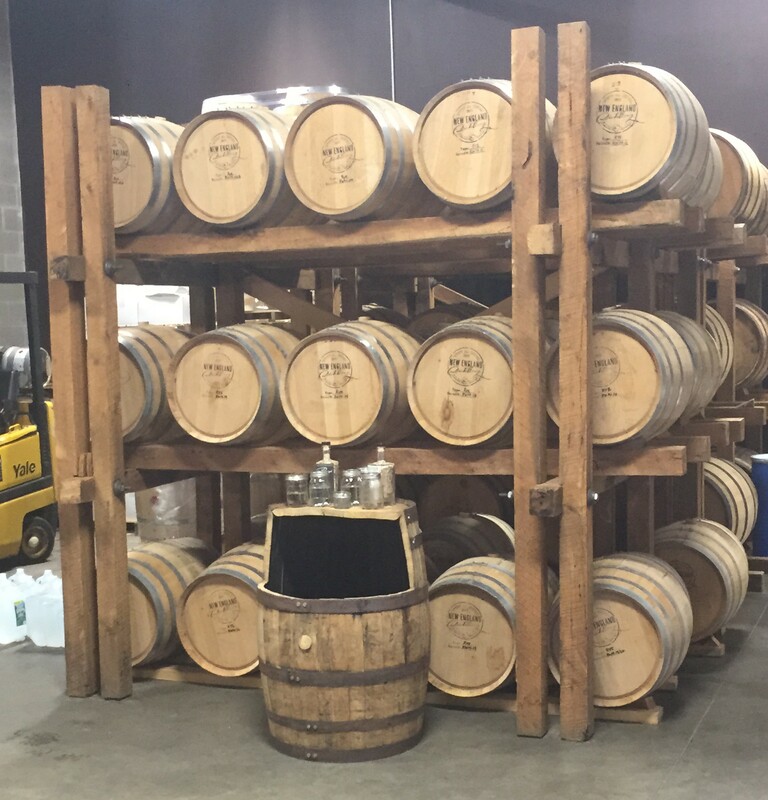 They use charred, white American oak barrels. 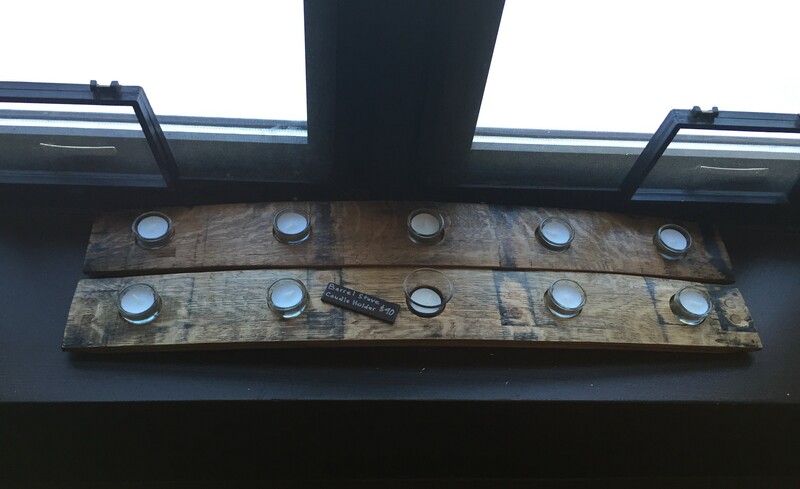 They can only use them once, by law, to make American whiskey. A lot of the flavor comes from the barrel, and the charring in particular. The charring helps to release natural flavors and sugars from the wood. 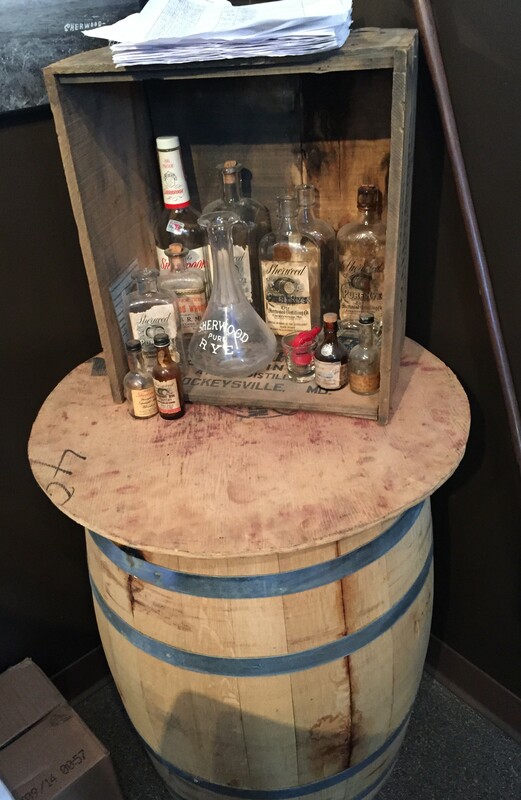 They are considering making a non-American style whiskey so they don’t have to turn over barrels so quickly. 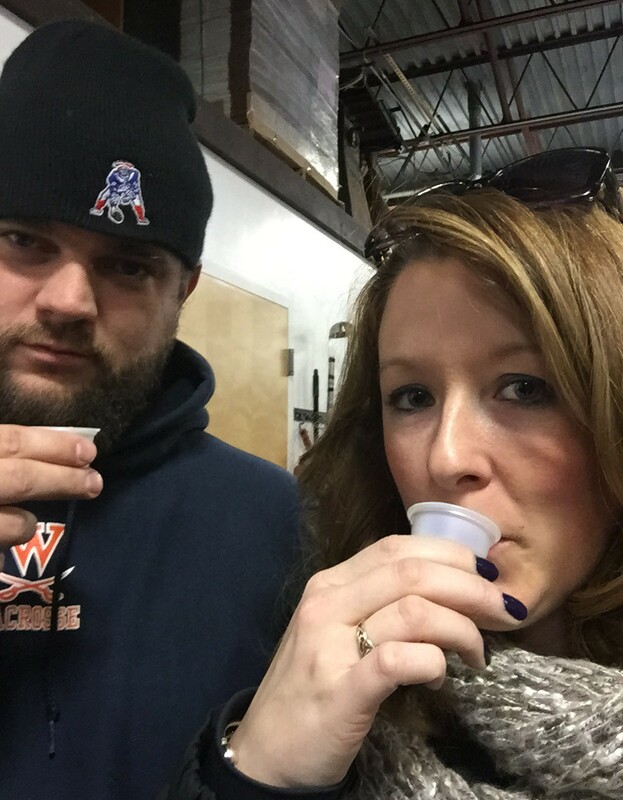 This is a New England style rum. 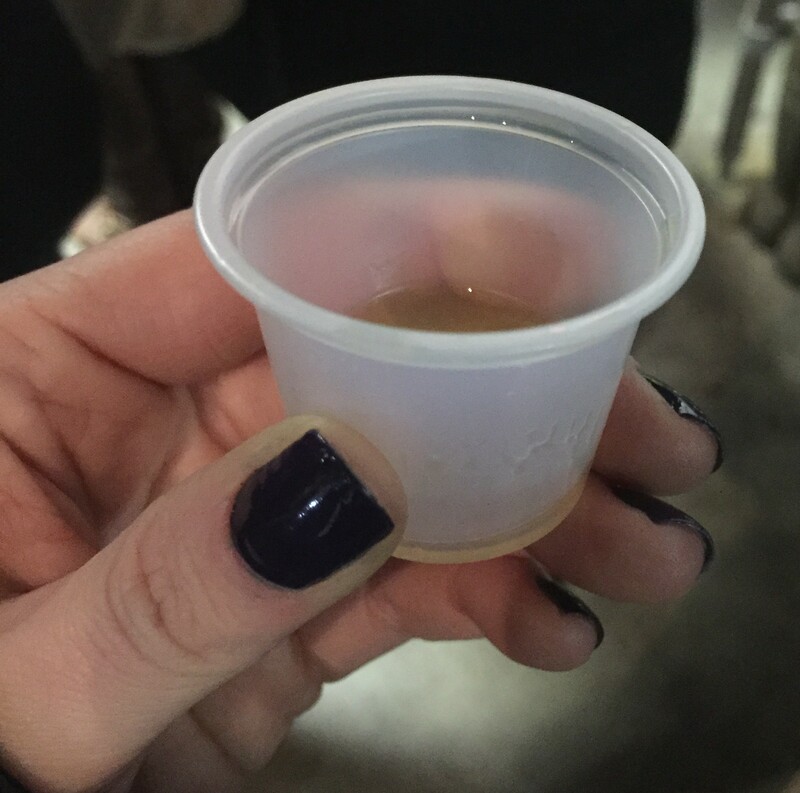 It starts with molasses, instead of sugar cane which is used in Caribbean rums. The rum is aged in the barrels for 22 months. The name Eight Bells comes from the bells rung during a duty period upon a ship. The bell was run at every half hour interval for a four hour duty period. Once the eighth bell pattern was complete, your duty was. End of duty meant time for your rum portion! 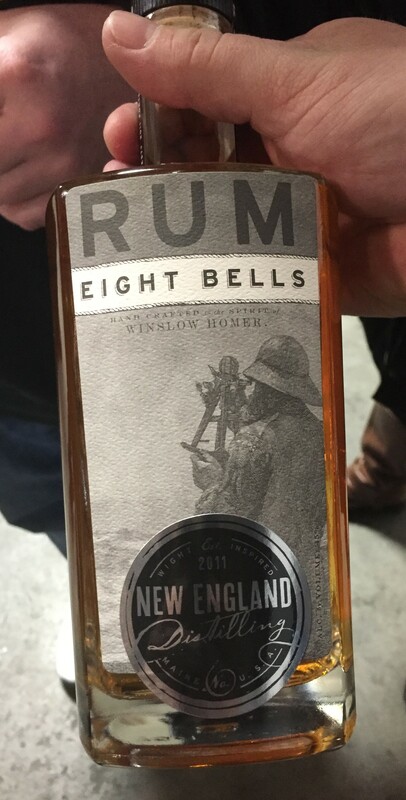 The Eight Bells logo is a Winslow Homer painting. They were given permission to use it from the Museum of Art in Portland. 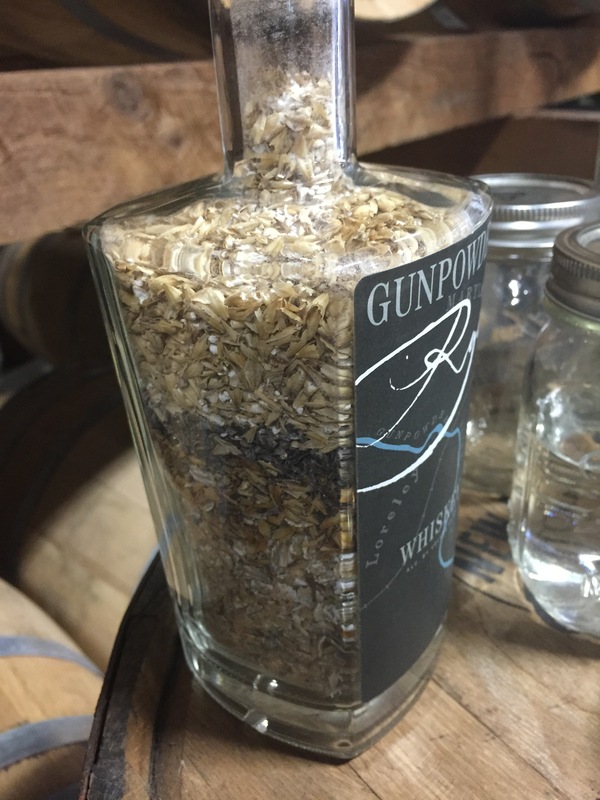 This is a Maryland style rye whiskey, there is no corn used to make this. 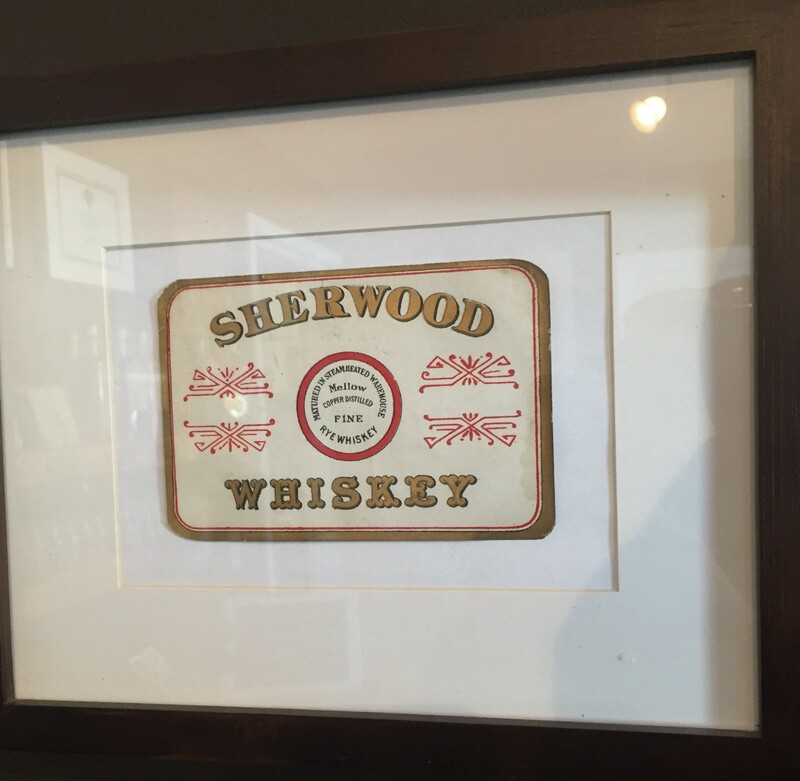 It is aged in the barrels for 12 – 15 months in the smaller barrels, 2 years in the 53 gallon barrels. 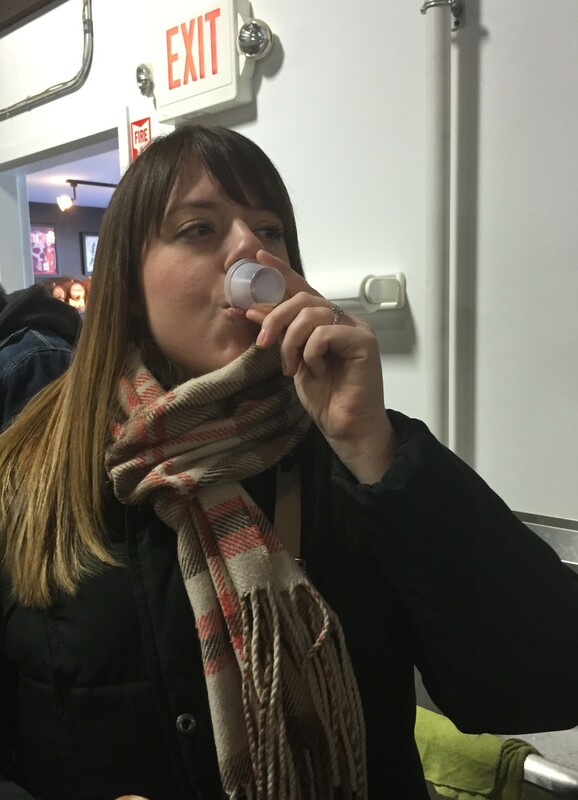 The Gin has a floral smell and a floral taste, along with the gin taste. Good balances of flavor, not too much juniper. 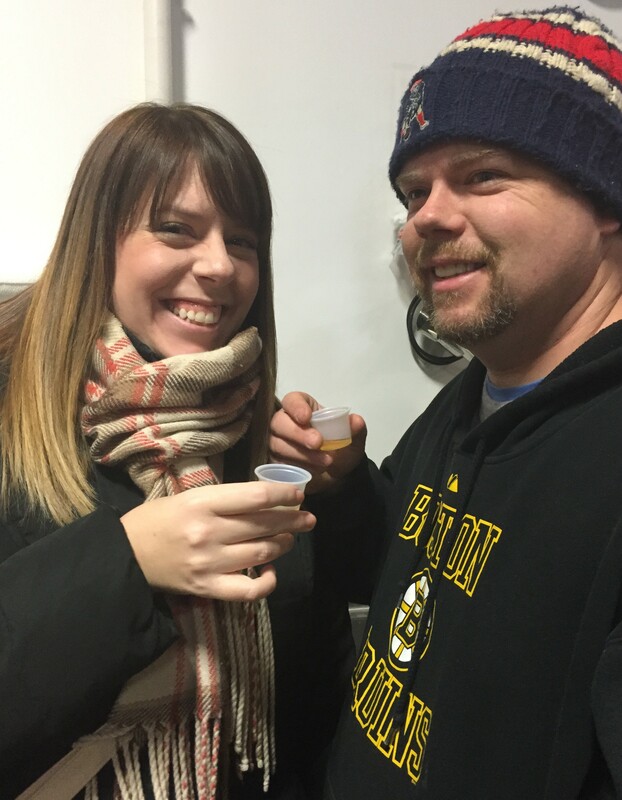 Both Jason and Megan purchased a bottle of gin! 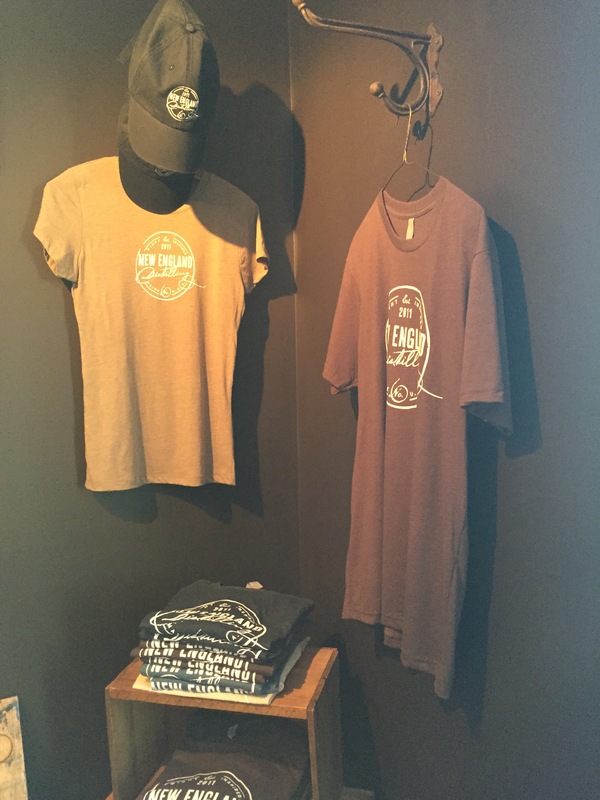 They have a lot of stuff in their little gift shop.